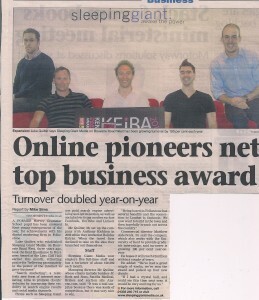 Folkestone Herald – Online Pioneers! 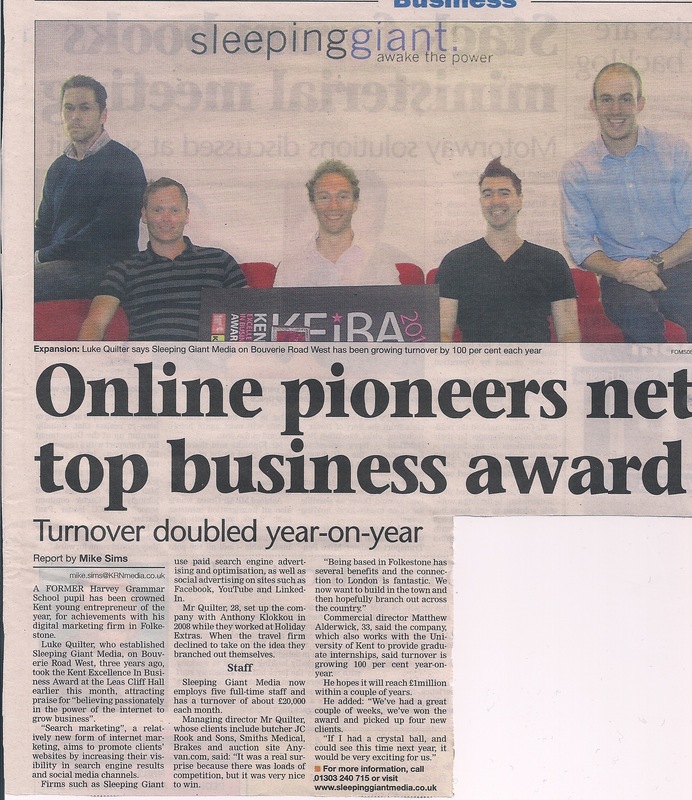 Kent search marketing specialists in the news! Good article about Sleeping Giant Media in the business section of the Folkestone, Ashford, Hythe and Dover Herald today. Opinions remain divided in the office about the photo, but then we weren’t really given any editorial decisions on that one! Its great to focus on the actual results we are getting for the local businesses within Kent that we are privileged to be working with. Its certainly satisfying to be able to grow our business by driving the success of our clients as few companies can really claim such a mutually beneficial relationship.